There are many hidden drain problems that are the nightmares of some homeowners and the glory of some plumbers. Whatever the situation, having a clogged drain, a drain that is broken, or with roots in it can prove to be both costly and annoying over a period of time. Depending on the situation trying to unclog the drain yourself can prove to be futile and only with the professional help from a valued plumber will a solution be created. 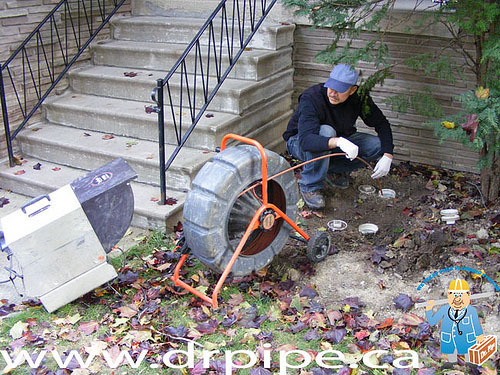 What are the most common drain problems known to Toronto plumbers? Corrosion happens over time and while many may implement the necessary steps to avoid this, there are some situations in which it cannot be avoided. The water that is passing through the cast iron can either have certain chemicals that provoke the rate of corrosion of the cast iron or the material used to make the cast iron was of poor quality. When corrosion is present in the cast iron then only a plumber can fix this. Roots and plants can become uncontrollable if you do not know what you are doing. Not only do roots basically ‘cut’ their own route and grow according to the best conditions they find underground, once they have found ”home sweet home” they basically increase in sizes and amount. This causes an excess build up of the roots in the drain system and the more they grow and expand the higher the risk of them breaking up the drain. The extent of the damage they cause may not be seen at first sight and only getting a plumber to take a look will determine just how much they have compromised the plumbing system. Cast iron is specially projected to resist certain forces and pressures; however, when these exceed the projected amount then this can damage and compromise the integrity of the cast iron. If the cast iron was placed on a slope then this change in direction can have an influence on the force that is being applied to the cast iron. As such, underground tubes should be installed with the right slope calculation and not just haphazardly based on instincts. Earth movements are also other factors that cause cast iron to become broken. The technicality behind installing and fitting cast iron should not be undertaken by a homeowner, because this is something that only plumbers can do. From time to time bathroom drains become clogged due to hair, toothpaste covers, and many other objects that are easily inserted in them. Some of the blockage do not require the help of a plumber as certain solutions or even hot water are known to unclog this type of drain. 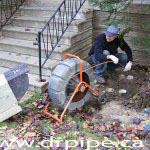 However, there are cases in which a Toronto plumber will have to be called in to dismantle the whole system to see where the blockage is and remove it.